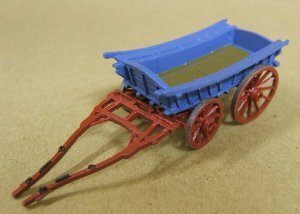 This page is a place where you we can display what you have achieved with our figures and components. 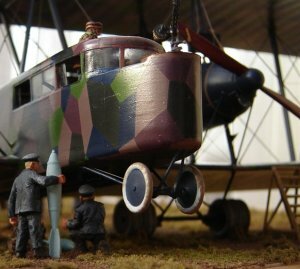 Launched at the start of 2010 we continue to enhance and expand the gallery as we receive more images of your models. See the bottom of the page for details of how to submit your own images. 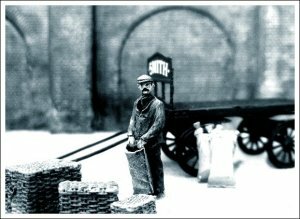 Harry Moore has made good use of our figures with high quality painting that really sets the mood. 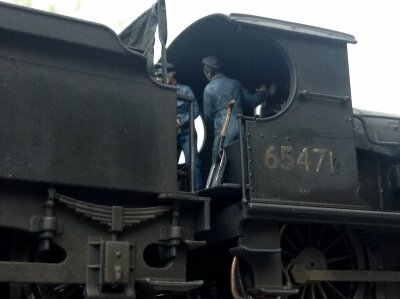 The J15 with double crew uses our MSV1 loco crew. Although this is intended for left hand drive and the J15 is right hand drive, the carefully selected positioning overcomes this and presents the crew in a different pose to that usually found. 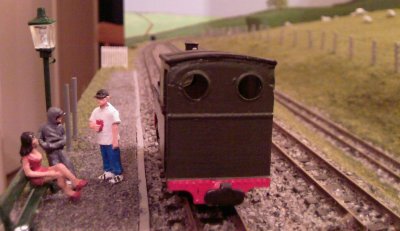 The brake van is populated with our MSV45 'ticket inspector' figure and the J15 with single crew makes use of our MCV20 'reading man' figure. 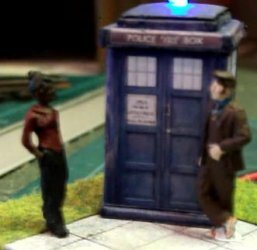 This shows that figures can be used in quite different settings to those intended, with a little imagination. 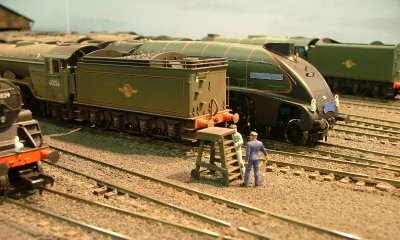 Jonathan Wealleans has sent us these images of Gresley dining pair (D10C Restaurant First, D27A Restaurant Open Third) built from MJT components for use on the in-construction 4mm layout 'Grantham'. These two cars were frequently marshalled together with the kitchen section in the middle. This left the first class dining area on one side of the kitchen - in the kitchen car itself - and the third class dining area on the other side of the kitchen in the adjacent car. 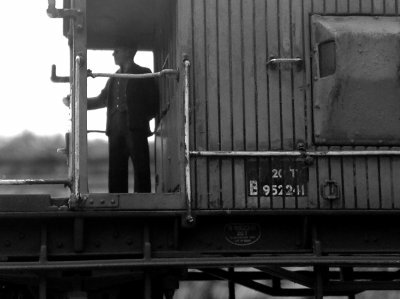 The two sides of the Restaurant Car are quite different (2 photos), while the two sides of the Open Third (one photo) are more or less the same. 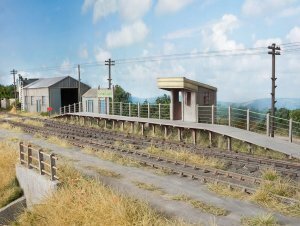 Tony Peart's 'Killington Lane Halt' is on the might-have-been preserved Lynton & Barnstaple Railway set in the near future. 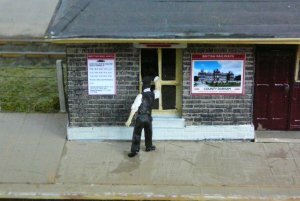 It is modelled in 009 and uses figures from the Monty's Model Railway range for this group on the halt platform. 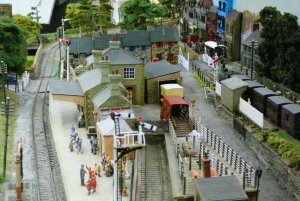 Ian Harper's 'Haymarket Cross' layout has been featured in a number of magazines. 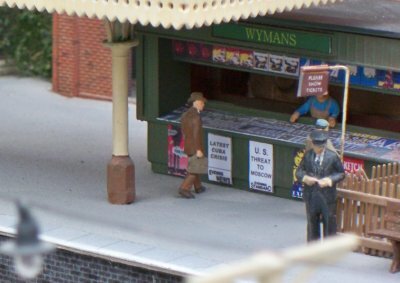 The staff in the depot are from our Monty's Model Railways range. 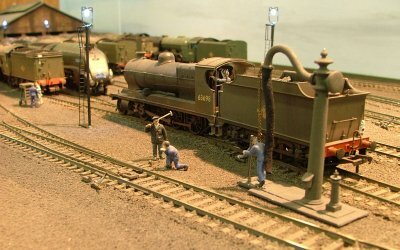 Terry Tew has populated his 'Earls Court' layout with Monty's Model Railways figures to great effect. 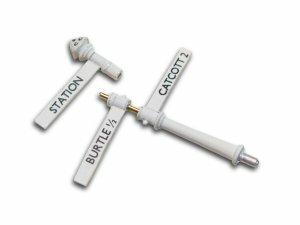 Cyril Print has used MJT and Dart Casting parts for years. 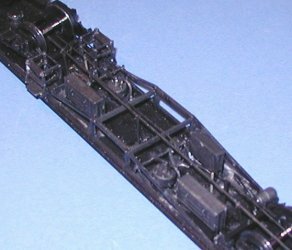 These photographs show how he has detailed a Hornby GWR Autocoach using our DK1 detailing and other items such as MJT roof shell ventilators to give the model a more scale-like appearance. 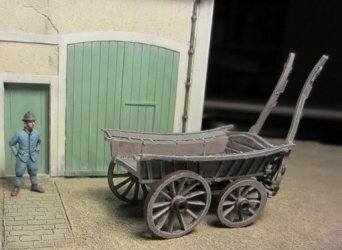 Jeroen van der Schaaf is working on a small layout which will show 60cm narrow gauge railways running through a small French village duirng the First World War. 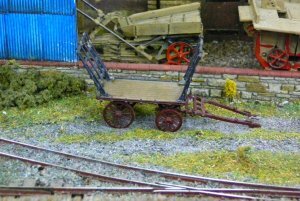 He has used the Dart Castings L47 farm wagon to good effect and has given it a well worn appearance as befits a war-torn setting. 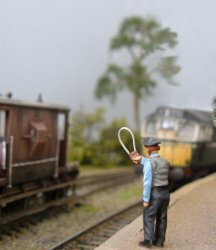 Rachel Drummond has written about her figure painting techniques in Railway Modeller amongst other magazines and she manages to create highly authentic figures through a combination of painting, weathering and adapting their poses. 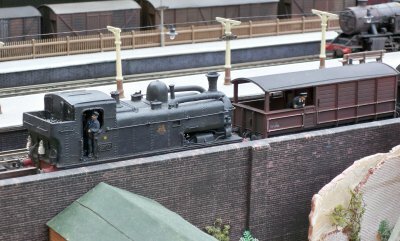 Illustrated are an MSV27 resting by the crane, an MSV3 with a modified token and an MSV42 waiting by his loco. 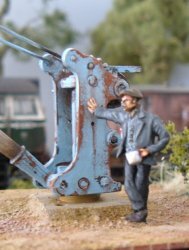 The man guiding the type 2 diesel started life as an MSV4 but his arm has been repositioned and he has a new hand and shoulder made of miliput! 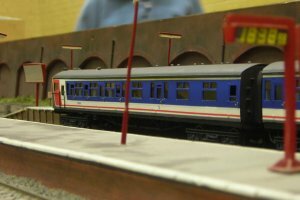 Keith Norgrove models in P4 and uses MJT coach gangways, amongst other components. 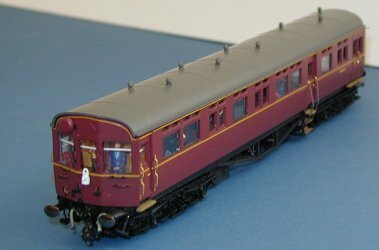 There is more information available on his website and he also has a video on YouTube that shows a rake of gangwayed coaches at work on his layout. 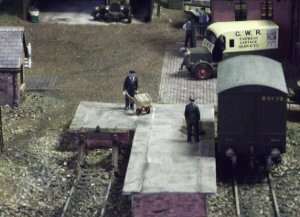 Bob Johnstone's goods yard is set in the SW Midlands circa 1930. 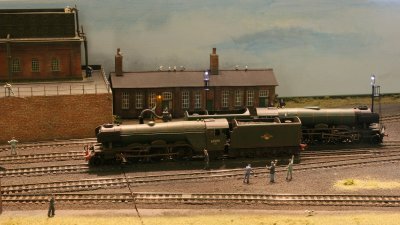 The model gives a good impression of a a typical yard of that time and is populated with a selection of Monty's Model Railways figures. 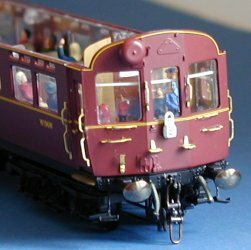 More details can be found on Bob's Flickr page. 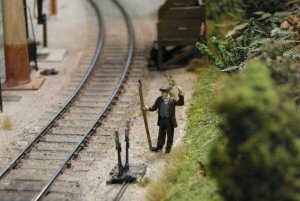 Chris Nevard is well known for his excellent photography, seen in several of the leading model railway magazines. 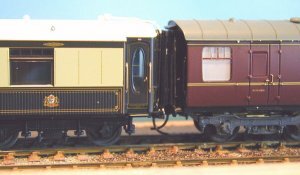 He has several layouts of his own built to a very high standard. 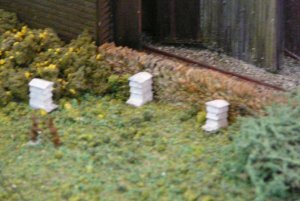 His layout 'Catcott Burtle' depicts a little known halt of the Evercreech to Highbridge branchline. 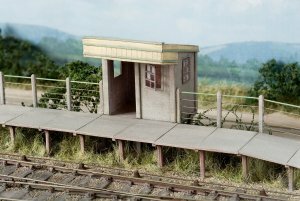 The platform here is made using MJT SR concrete platform supports. 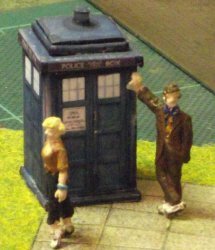 The shelter and platform surface are scratchbuilt from plastic card. 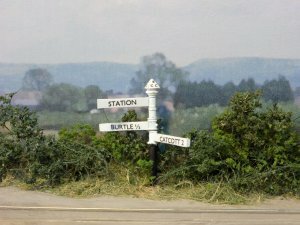 Chris has also used our L4 Somerset Style Signposts on the layout. The writing is done in the way we always suggest, using a small font printed onto transparent sticky labels. 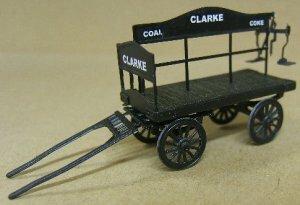 Lookout for an article about this in Model Rail magazine in early 2012. 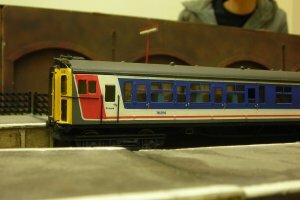 James Stearn has sent us a few photos of his 4-VEP EMU which is built mainly form MJT components. 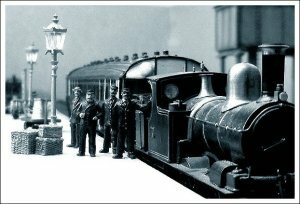 He's beaten Hornby with this classic unit! 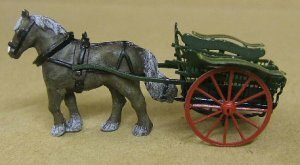 Daryle Toney has sent us some photos of horse drawn carts that he has built from our kits, including the L47 farm wagon and S33 farmer's market float. 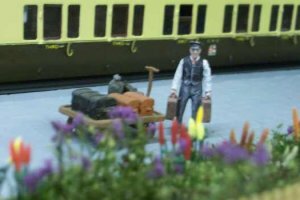 Mikkel Funder has adapted our figures for his Edwardian era GWR micro-layouts. 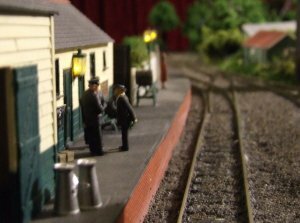 "The Farthing layouts" are a series of OO micro-layouts that each depict a small section of the same overall station. 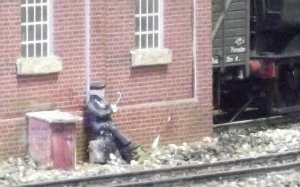 The scene is (normally) Edwardian GWR, and the emphasis is on atmosphere rather than high accuracy. 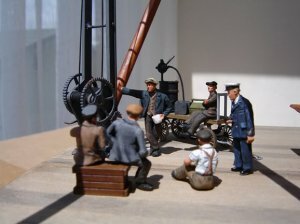 An important concept of the layouts is to emphasize the "human dimension" of the railways, and the figures from Monty's play an important part in this. 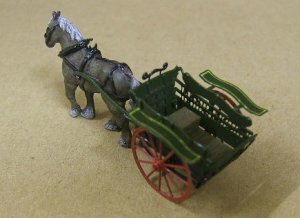 Although our figures are not really from the Edwardian era, Mikkel has found that this can be solved through careful selection and a little modification such as adding a moustache, a different hat etc. 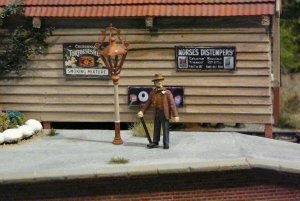 Robin Sweet sent us these images showing Montys Model Railway figures on his GWR layout. 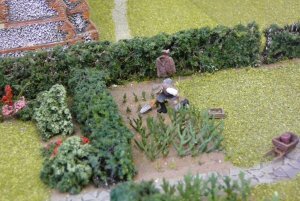 'Rowlands Castle' is a popular exhibition layout set in 1944 with a great deal of military activity taking place. 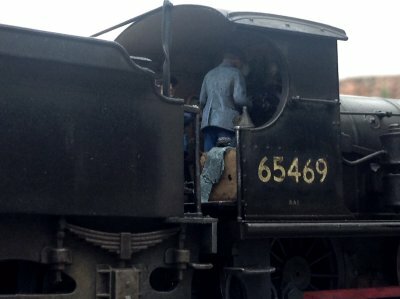 Tucked away amidst all the preparations for D-Day a couple of our figures keep an extremely well tended garden while others are on the platform. 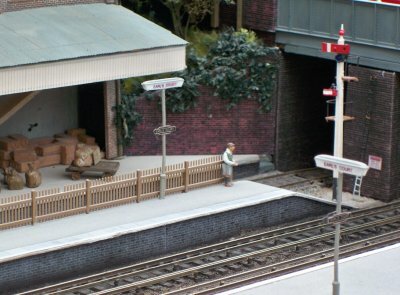 Andy Cooper's 'New Hey' EM gauge layout is based on the Oldham loop line that runs out and back from Manchester Victoria and is set in June, sometime between 1960 and 1968. 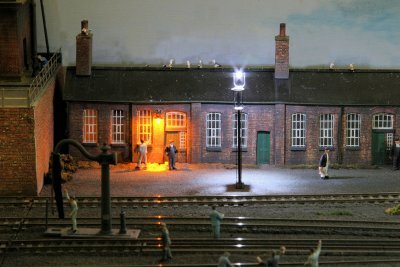 A number of our figures are at work on the layout, which was drawing in the crowds at the York Model Railway Exhibition. 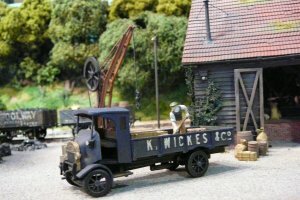 David Bickerton's charming layout 'Pudley Lane' is set in the Devonshire countryside in the mid to late 1920s and was a popular layout at the York Model Railway Exhibiton. 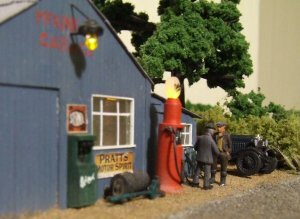 David has used a number of figures from out Monty's Model Railways range and numerous detailing accessories to really help create an atmospheric scene. 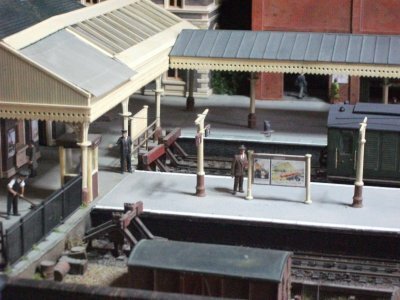 Steve Collins' excellent 'St Hildas' layout was a trophy winner at the 2010 Nottingham Model Railway Exhibition. 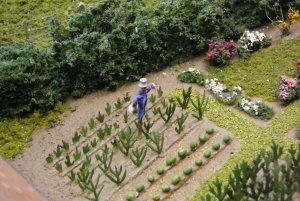 Steve has included a vast amount of fine detail and his spotting sheet encouraging visitors to find the various animals and figures was very popular. 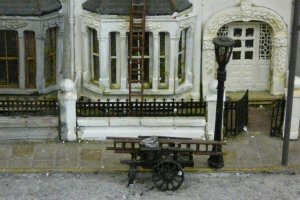 Many of the items on the layout are from our Dart Castings and Montys Model Railways ranges, and Steve went away with plenty of new figures to add for the layout's next outing. 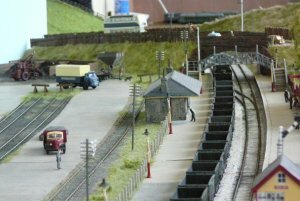 Pete Kingwell sent us these images of his modern image layout 'North Blackthorn' where he has used our Monty's Model Railways modern image figures. 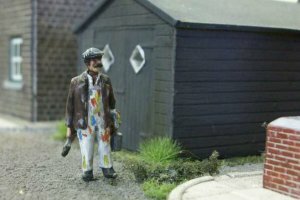 Pete has also painted an MSV54 Marine Worker as a 'chav'! 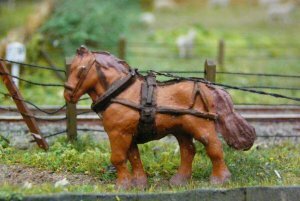 It's seems the Transport Police have their work cut out at North Blackthorn! 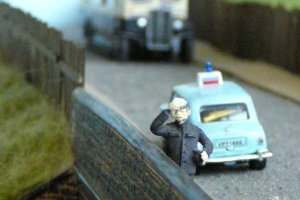 James Ahey models the First World War but has found that our Monty's Model Railways figures can be adapted very well for this period. 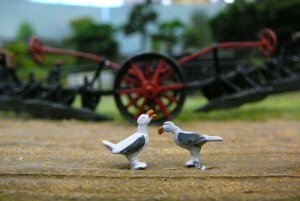 "It's not a model railway but your figures were great! 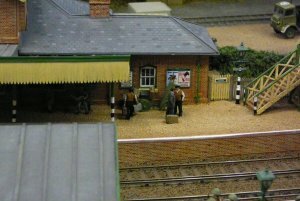 The loco crew work well for German air force ground crew in the Great War, and the station staff work well for Royal Naval Air Service officers" says James. 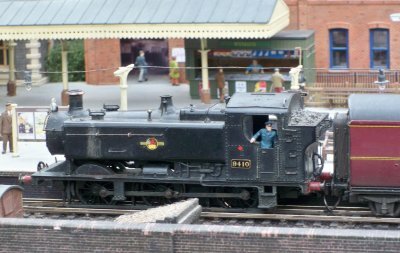 Richard Ward's layout 'Lower Finesse' is set in a fictitious part of Suffolk, with a light railway following the practice of colonel Stephens, using second hand locomotives and other cheaply acquired bits. 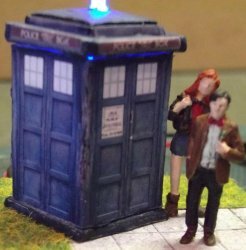 He has made good use of our figures. 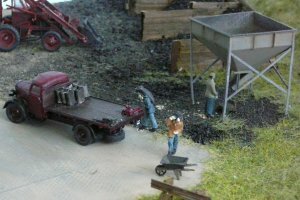 If you have an image of your layout or models that you would like us to include in the gallery, please use the form below to send them to us. You can send up to four images and/or details of a link to your site with images and details on it. (The security code is purely to stop spam). Please note that you must have the copyright to the images and by sending the form you grant us the right to add them to our website and social media sites including Facebook and Twitter. We cannot normally include images from a magazine or commercial website. Images should not be more than 1Mb each please. We reserve the right not to display any image or information received. We will give your name in the gallery but no other contact details unless you give a link to your own layout site, which we will use. We may not always be able to contact you to let you know that we have received your images and will be using them, and adding images is not automatic so please check back from time to time.